I made a turnip gratin previously but I wasn’t in love with it but I think I’ve cracked the code this time. 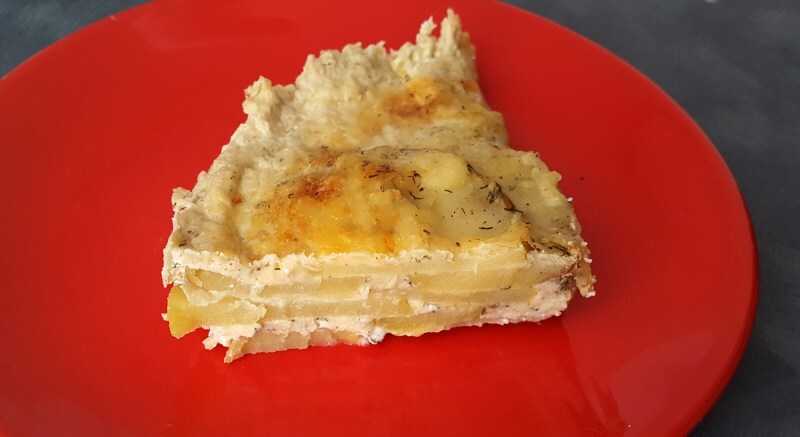 This potato gratin is so good it’s hard to stop eating! Layering the cheese and milk mixture is the most important part but also don’t cheap out and use poor quality cheese because the minimal nature of the ingredients means that basically there’s no where for flavors to hide. Butter a medium sized casserole dish and preheat an oven to 175°C. In a microwaveable bowl add the butter, garlic, milk, and salt. Microwave on high until the milk just starts to bubble, about 3 minutes. Rinse the potatoes, dry them well then cut into 3-5mm slices with a knife or mandolin. In the casserole dish place the slices of potatoes in to a slightly overlapped layer. Top with 1/4 cup of the milk mixture, salt, pepper, and about 1/5 of the cheese. Repeat until you run out of potatoes then pour the additional milk mixture over the top and the leftover cheese on top as well. Bake until bubbling and a knife easily pierces the gratin, about 40 minutes. Let cool before serving to allow the cheese to set for a clean cut.